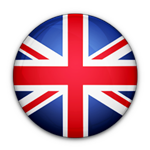 Shop the US and ship to the United Kingdom with MyUS. Not shipping to the UK? i used them once to ship something from the usa to the uk and i found them to amazing in the work that they do if you are wanting anything been shipped to the united kingdom i would highly recommend using my us.com very great company. I have just received my first ever package from MyUS, and wanted to write to you to say thank you for such a great service! I am amazed at just how quickly the parcel has arrived in the U.K, it's absolutely fantastic. I will definitely be ordering more items from the US. Many thanks. Some countries have a "de minimis value", where you don't have to pay taxes on imported items that fall below that value. The UK does not have a de minimis value. This means you will have to pay taxes and duties on your entire shipment. Please note, duties and taxes are not included in your MyUS shipping costs. You will need to pay UK customs and tax fees upon delivery of your US package. If any of your US purchases arrive to MyUS damaged or broken, we will email you and hold the shipment so you don't have to pay tax on products you need to return to USA merchants. With MyUS, you can choose the shipping method that's right for you and your budget. We know you're excited to receive your packages, so we work fast. Many of our UK members receive their packages in less time than these estimates. When it comes to customs, we are experts. Have a question about if you can ship a specific item? Our customer service team is here to help. We'll also assist you with any required UK customs paperwork. Do you want to buy products online from the United States but live in England, Scotland, Wales or Northern Ireland? You may find many American websites don’t ship internationally. That’s where MyUS can help. When you join, you’ll receive a MyUS shipping address and suite at our warehouse in Florida, USA. Shop nearly any US retailer you want with your MyUS address--even if they don’t ship internationally. Become a MyUS member to receive your own MyUS suite address. When it’s time to checkout, enter your MyUS address as your shipping address. We’ll receive your purchases, help with any necessary customs paperwork, then reship your packages to your home in GB/the UK. Ready to start shopping US stores online? Join MyUS to instantly receive your US address. How Much Does it Cost to Ship from the US to Great Britain or the rest of the United Kingdom? If you have a specific item in mind you’d like to ship from the United States, use our ship rate calculator on this page to estimate delivery costs to the UK or GB. MyUS prices are based on package weight ONLY, not package weight PLUS size like most shipping or freight forwarding companies*. Because of this, members saved millions of dollars on shipping costs in 2017 by avoiding hidden costs and surprises. No calculations or confusing math needed! What US Stores Can You Shop When You’re a MyUS Member? We’ve helped people all around the world shop American stores and ship home everything from makeup, jeans, shoes and designer clothing to iPhones, computers, cameras and tools. Join today to receive your MyUS address, and you could be shopping American stores within minutes. The only question is, what are you going to buy first with your new MyUS shipping address? MyUS works to get your expedited packages shipped to you as soon as possible. With express shipping, you’ll receive your shipment within 3 to 4 days of when it arrives at our US facility. If you choose standard delivery to Great Britain or other UK countries, your packages will typically arrive in 5 to 10 business days. You will have the option to select the international courier service you prefer (such as DHL or FedEx). We ship US goods to every city and town in the UK, so don't be concerned if you don’t see your hometown on this list. You can still count on reliable, fast delivery from MyUS. We not only serve the United Kingdom; we also serve more than 220 other countries and territories, including France, Belgium, Germany, Ireland, the Netherlands and Denmark. There are certain products that are illegal to ship outside of the United States, as well as items that are not allowed to be imported into the United Kingdom and Great Britain. We have listed some of those items below, but for the most recent and complete list, please check Gov.UK’s import and export website. Their website will also have comprehensive information about duties, taxes and VAT. If you still have questions about whether you can ship an item from the USA to England, Wales, Scotland or N. Ireland, our customer service team can help. Contact us today. Notes on shipping to GB or the UK: Delivery times vary based on your location, weather, political forces and your local Customs Office. Please see our FAQ for information on issues that could affect transit times or require additional information when shipping to the United Kingdom. Express shipping via DHL, UPS or FedEx Express. Economy shipping via FedEx Economy or USPS. Freight shipping via FedEx Air Freight.